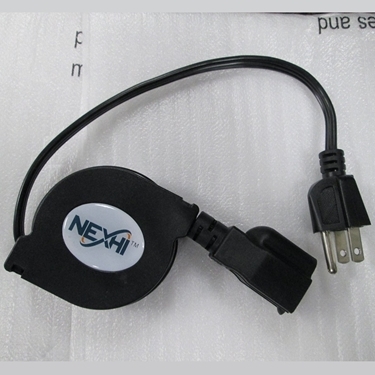 This Nexhi NXH-ZIP-PWR-PC1 Retractable PC Power Cable is designed to work with high performance desktops and tower systems that require a standard power cord. This Nexhi NXH-ZIP-PWR-PC1 Retractable PC Power Cable is designed to work with high performance desktops and tower systems that require a standard power cord. Nexhi's revolutionary retractable PC power cable allows you eliminate cable clutter by simply replacing the standard bulky cable with this compact retractable one. This premium 5' universal AC power cord is designed to work with high performance desktops and tower systems that require a standard power cord. Perfect cable substitute for Lan Parties and PC's on the go. Easily extends to over 5' just by pulling both ends. Simply pull again and it quickly retracts back into its housing. 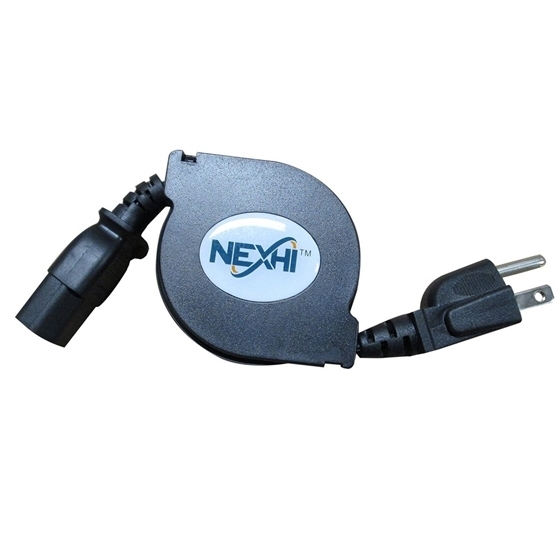 The Nexhi ZIP-PWR-EX1-B Retractable AC Power Extension Cord is best suitable for mobile users while travelling purpose. 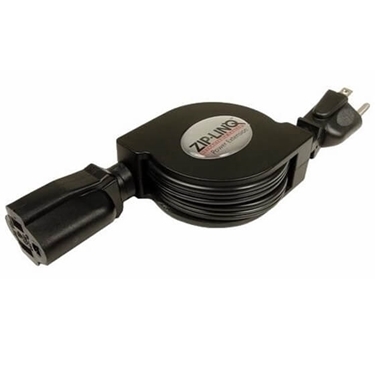 Nexhi ZIP-PWR-EX1 Retractable AC Power Extension Cord. 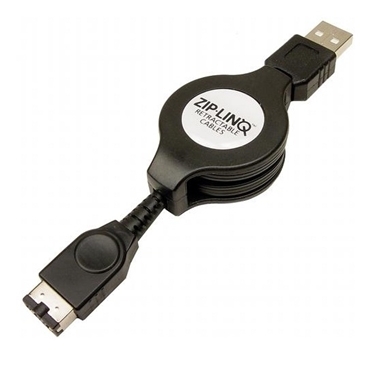 The ZipLINQ ZIP-GAME-GB2 Retractable Gameboy Advance SP Link Cable provides the 48" cable allows you connect to your friends console, for exciting head to head action.